Confusion and misconceptions surrounding down payment requirements may be one of the greatest barriers to homeownership. According to the National Association of REALTORS®’ Aspiring Home Buyers Profile, 87 percent of non-homeowners believe a down payment of 10 percent or more is required to purchase a home. In reality, roughly 60 percent of homebuyers financed their purchase with a 6 percent or less down payment. 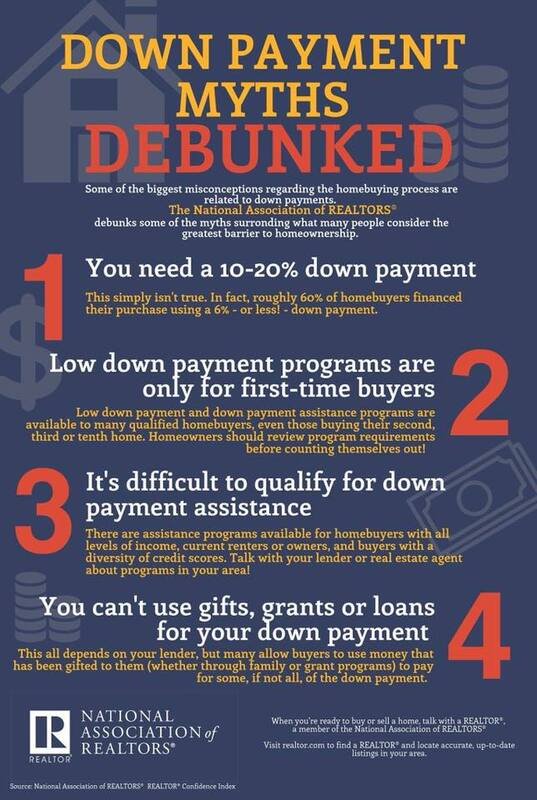 NAR clears up this and several other myths regarding down payments.